Thought bell tents were just for wedding glamping? Think again! 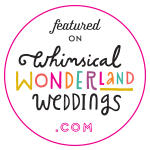 QQW Weddings, headed up by Bev Seal, specialise in alternative weddings. Bev has a performance background and she and her partner are involved in historical reenacting (her partner is actually a full contact Medieval fighter!) so if you’re thinking of a day with a difference she’s the maiden to chat with! Bev had the vision for this Medieval shoot and we joined the team of local suppliers to bring it alive. We kitted out the bell tent with a sumptuous velvet sofa and chaise lounge, the colours reminiscent of fine wine and decadent banquets. Ivy was intertwined with twinkly fairy lights and wrapped around the centre pole. Ivy, being an evergreen plant, represents eternity, fidelity, and strong affectionate attachment… such as wedded love! A chinzy lamp and fruit bowl fit for a king finished off the look. If you’re going down the Pagan route how about a traditional handfasting ceremony? Handfasting is a symbolic and spiritual act where couple’s hands are tied together, with cords or ribbons, to represent their union. You could follow your ceremony with a spot of jousting and then a four course luncheon… entertainment in the form of court jesters of course! For a venue that will suit your theme look at Loxwood Joust, West Sussex, where you can have a ‘truly ancient and nature based ceremony’, vow renewal with a Medieval theme or Herstmonceux Castle, East Sussex. We also love the idea of being able to theme and transform a beautiful barn into a Medieval banqueting hall – and Rumbolds Farm, which dates back to the 16th century would make a great choice. Although bell tent hire has become fashionable in recent years, for wedding glamping and such like, their simple design actually dates back to the Crimean War in 1855. So a bell tent village is ideal for a themed, ye olde wedding! We offer bell tent hire in Hampshire and West Sussex. Take a look at our weddings page for more information. Did you know we also regularly sell off our stock? Perfect for a re-enactment weekend! Contact us for more information.